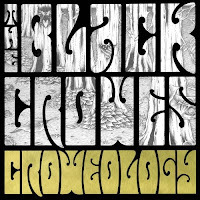 The Black Crowes will be releasing Croweology, their acoustic double al bum, on August 3. Okay, while I wasn't overly thrilled with their last record, I'm still looking forward to this one. I've always like acoustic Crowes ... going back to the days of Unplugged and the stuff from Ronnie Scott's ... y'all remember that? Anyway, I have a plethora of acoustic Crowes, most not "official" so I'll be happy to have my hands on this. Croweology is 20 songs that span their two decade career. We're talking new arrangements of some of their best loved songs. The record was produced by Paul Stacey. To support the record and say thanks to fans before going on indefinite hiatus, the band, Chris Robinson (vocals/guitar), Rich Robinson (guitar), Steve Gorman (drums), Sven Pipien (bass), Luther Dickinson (guitar) and Adam McDougall (keyboards), will go on tour. The Say Goodnight To The Bad Guys tour will kick-off on August 13. New York, we've long been a city that gets multi-night shows from The Crowes and we for this tour as well. They'll be at Nokia Theatre Times Square on October 31 (that's Halloween y'all ... two words, Jellied Donut), November 2, 4, 5 and 6. If that isn't enough Crowes for you happy little heads, they'll be on the Tonight Show w/Jay Leno on August 3 and Jimmy Kimmel Live August 4 ... check local listings and set your DVR's. And, in the mist of all of this, The Black Crowes will be inducted into the Georgia Music Hall of Fame on September 11 at the 32nd Annual Georgia Music Hall of Fame Awards Show. Congratulations gentleman. Tickets for the Georgia Music Hall of Fame Awards go on sale July 1 and can be purchased at CobbEnergyCentre.com, Ticketmaster, livepage.apple.com or by calling 1-800-745-3000. 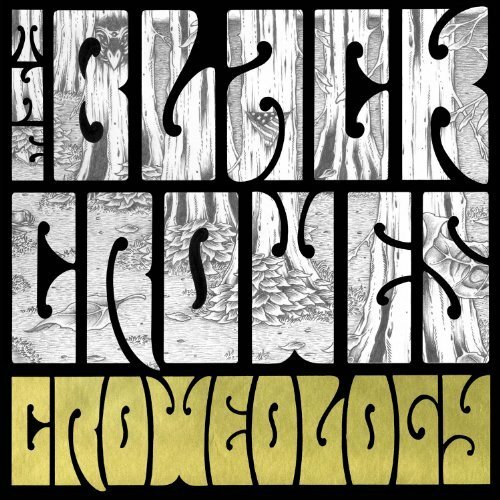 CROWEOLOGY spans THE BLACK CROWES' revered catalog with acoustic renditions of 20 songs from their two decades of cosmic rock 'n' roll. Commemorating the 20th anniversary of their landmark multi-platinum debut, 1990's SHAKE YOUR MONEYMAKER, CROWEOLOGY gives listeners an intimate retrospective, stripping away these fan and band favorites like "Jealous Again," "Remedy," "She Talks To Angels" and "Wiser Time" to their very essence through brand new recordings, captured in 2009 at Sunset Sound Studios in Los Angeles. Given its scope and bright approach, the Paul Stacey-produced CROWEOLOGY is worth studying for both longtime fans and newcomers alike. In order to thank fans for 20 years of support, CROWEOLOGY will be priced at the cost of a single album. In addition, it will be available on vinyl and as an iTunes LP. Listeners will get their first taste of CROWEOLOGY when "Jealous Again" and "Morning Song" hit radio this week.